Despite having the gall to call myself not only a gamer but a game reviewer, I’m occasionally shamed to say that I’ve never played some of the prototypical games that laid the foundation for those that followed. One such game is Chip’s Challenge. 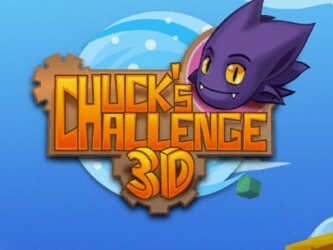 Today I right that wrong, by playing its spiritual successor, Chuck’s Challenge 3D. As promised by the title, the graphics are indeed 3D. In terms of the raw requirements of a puzzle game’s graphics—making sure you can accurately and quickly identify each object and how it behaves—the game does a fine job. 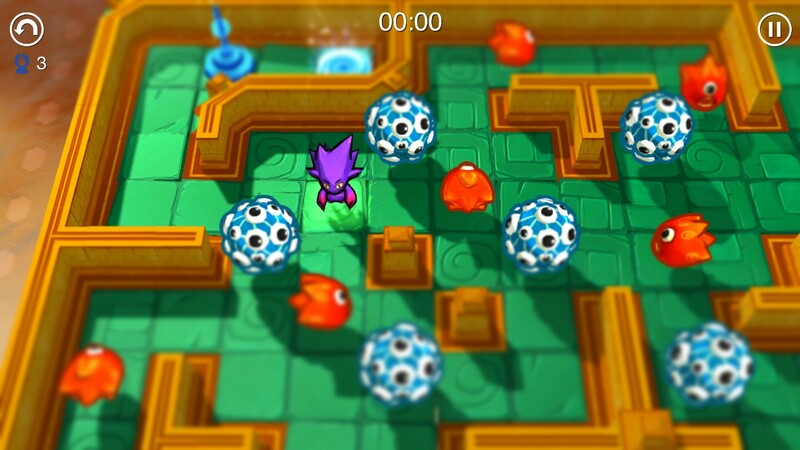 There are enemies with unique movement patterns that, on a fast paced level, you’ll need to identify in a hurry. 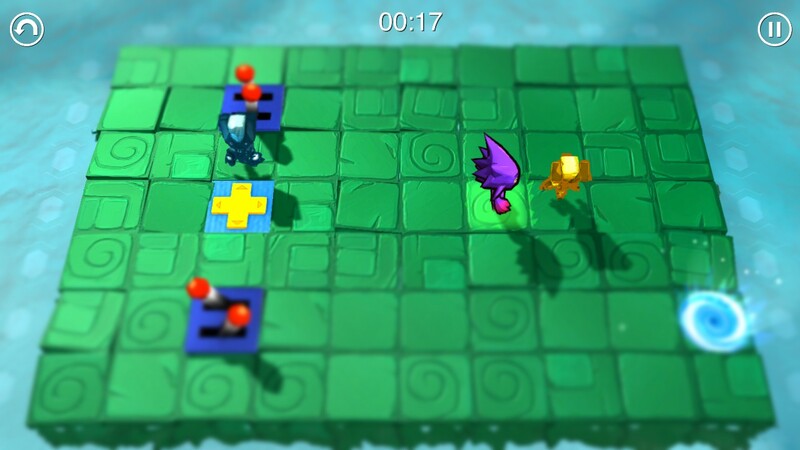 Character designs make this a snap, and likewise the different floor tiles and powerups are unmistakable. It is very important that I know what is about to kill me. As for the rest of the graphics, the style is fun, though if you’re looking for high polycounts then you probably shouldn’t be in the puzzle category of Steam. There are certainly lots of visual effects: the surface of the water ripples realistically, there’s what they call a “tilt shift” effect on the screen (basically the scene blurs the further it gets from the player), and the level border is somewhat reactive to the player’s position. All of these feel a little bit like they were just toggle switches in the graphics engine, but they add to the visual variety, and that’s not a bad thing. There are a lot of puzzle games where you control a character from the top down and must navigate him or her to the exit of the level. This is not only one of them, it actually feels like all of them. There are boxes that can be pushed but not pulled, ala sokoban. There are also robots that move when toggled, and robots that can be directly controlled. You can collect keys, to open doors, collect tokens to open doors, and hit buttons to pen doors. Hidden walls pop up, weak walls break when you push against them. There are conveyor belt floors that force you along, poison floors which must be scraped clean to travel, floors that block enemies but not you. There are ice blocks that let you push an entire row, ice floors that send you forward in a straight line, blocks that form floors in water. If ice melts it becomes a square of water. There are portals, breakaway floors. Face it, if it can be moved, move on its own, or alter the way you move, it is in the game, and powerups exist to help you get around it. 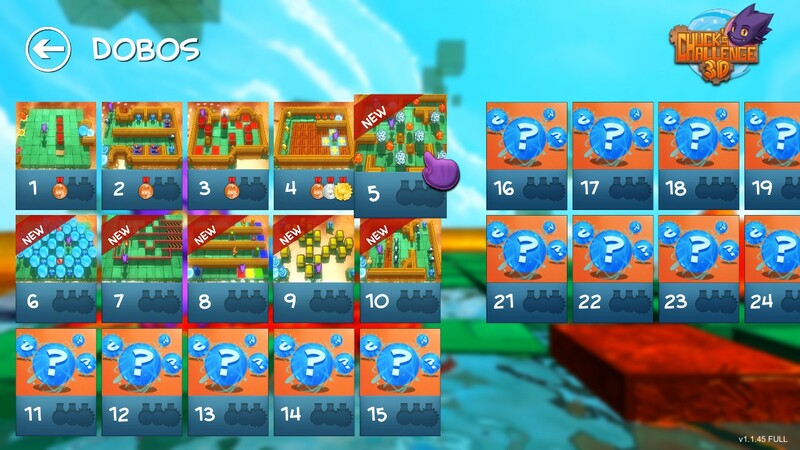 The puzzles are well designed and fun, though occasionally mean. For example. More than once I’ve navigated a course that requires precision timing and serous thinking, then I discovered that weak wall back at the beginning of the level was the real way to win. 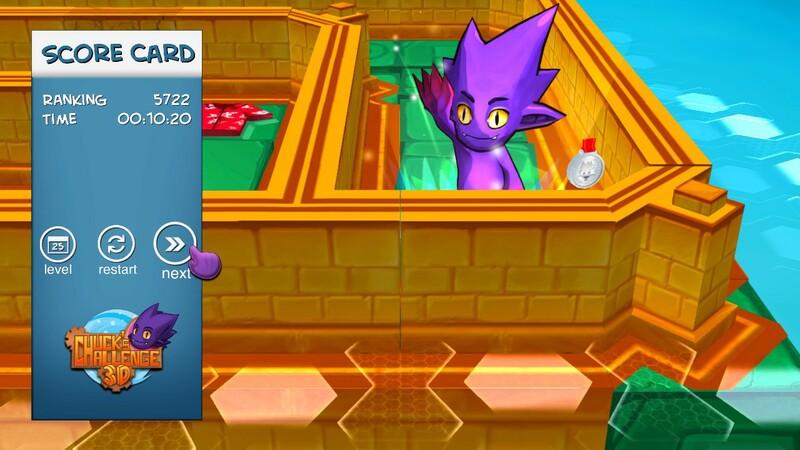 Other times I got quite near to the end of a level only to make one last move that made things unsolvable. 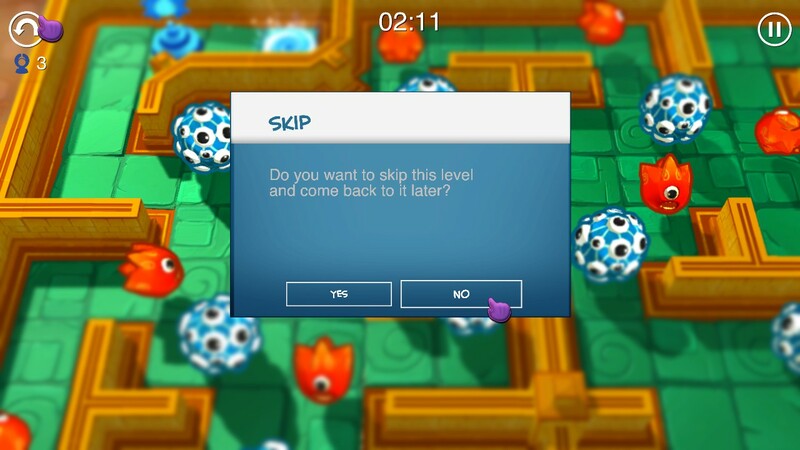 Fortunately, the game has the ability to undo your moves one step at a time, taking you back to the point of your error no matter how far back it is. If you royally screw up, you can restart, and if you manage to die too many times, the game takes pity on you and lets you skip the level. Your performance is rated based on how fast and in how few steps you solved the puzzle, earning a bronze, silver, or gold medal depending on how you did. That's right, folks. I got the gold. The game plays well, though I wasn’t overly fond of the gamepad controls. I had a hard time mapping them correctly at first, and once I did there was still the issue of the analog sticks being a little hit-or-miss regarding which direction you were likely to go. Still, it plays fine on the keyboard, so that’s what I did. The music was par for the course in my opinion. The sound effects weren’t the best but I’ve heard worse. 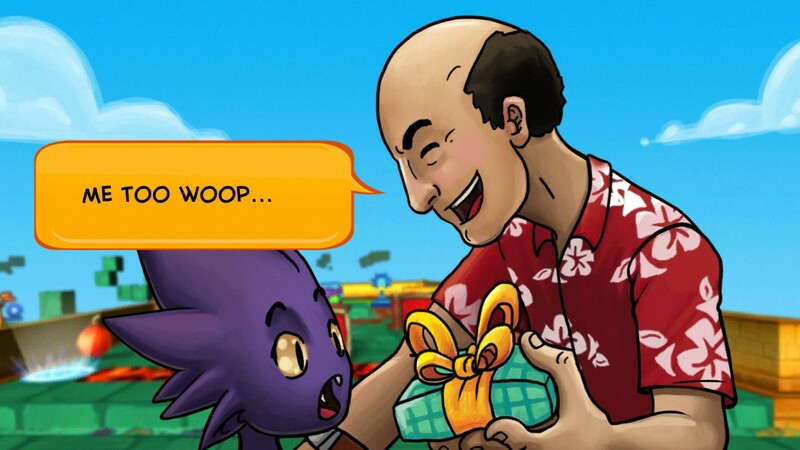 Character dialogue is rendered via character specific gibberish (sort of like in Banjo-Kazooie). That’s all I have to say about that. There is a story, and it’s a little meta. 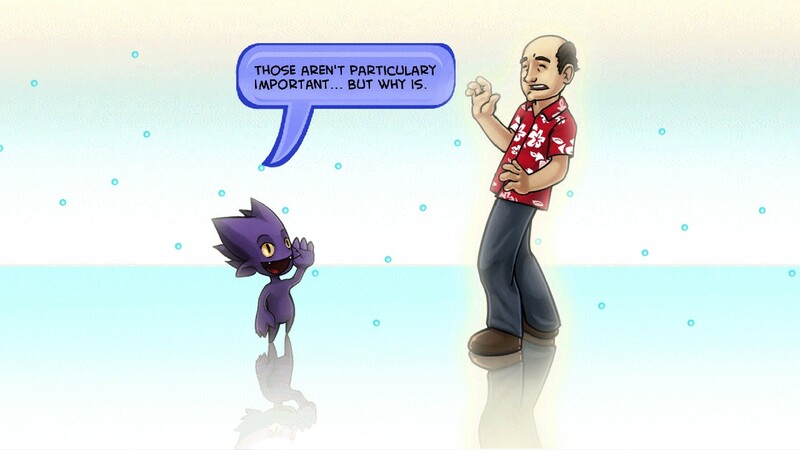 You see, a little purple alien with control over time and space. 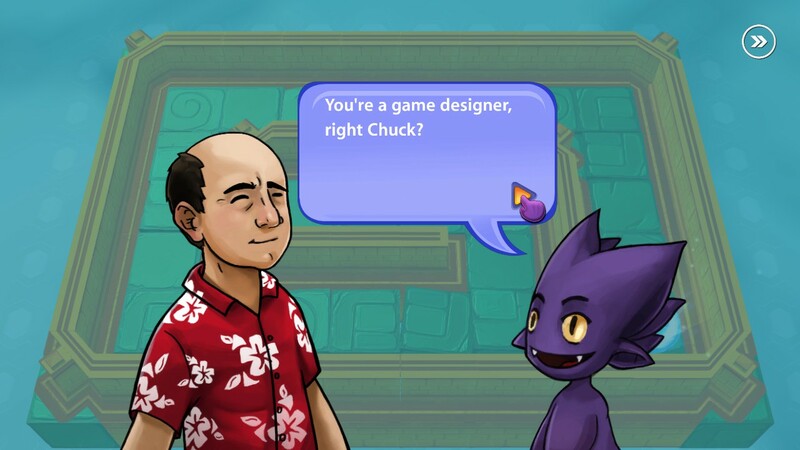 He likes playing games, so he kidnaps a game designer named Chuck to design some puzzles for him to solve. Clever! 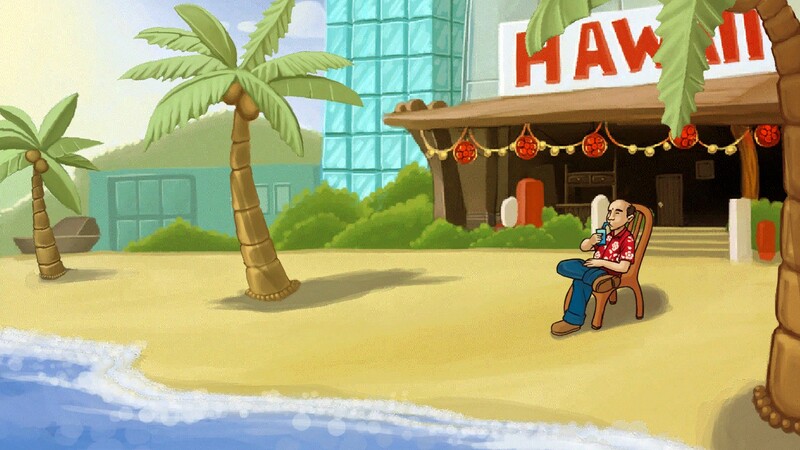 This ‘story’ is told in bits and pieces, often mixed with tutorial when you step on the Hawaiian shirts on the level. 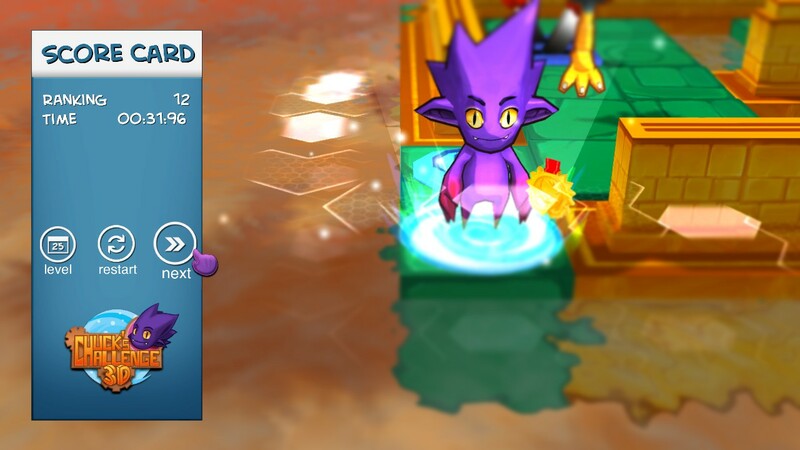 While incorporating them into the level is fun, it got old when I kept accidentally stepping on them again. I would have liked if the scene would only play once per “life” at the very least. Look, the important thing is we've now justified a puzzle game. It is probably worth pointing out that the dialogue feels a bit like it was pasted in moments before the game was released. There are strange capitalization decisions and the like, so grammar sticklers beware. 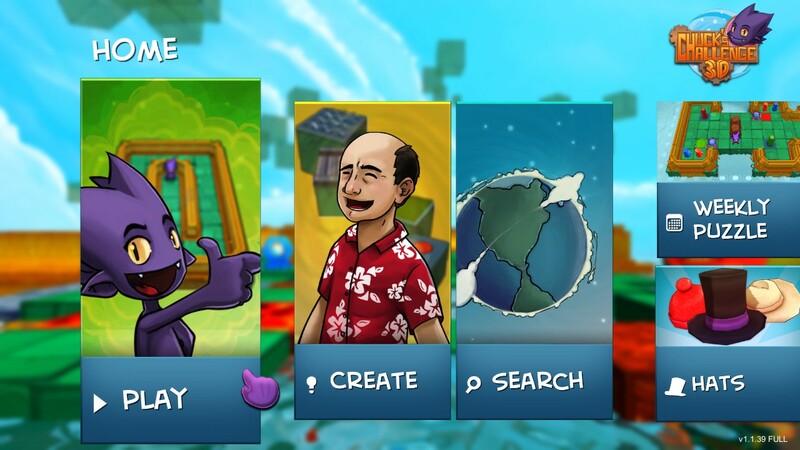 Chuck’s Challenge is a good example of a game that properly prioritized its different elements. The puzzles are at the forefront, as they should be. The 125 that come with the game are well designed and the mechanism exists to never actually run out. The visuals are attractive and clear, but not quite to the same quality. The sound was another notch down. Finally the story, the only thing with no direct impact on the gameplay, was more or less vestigial. Could it have been better? Yes. But if only certain parts could be excellent, Chuck chose the right ones. 8.0 / 10: Chuck’s Challenge 3D is a fine update of its ancestor to match the modern expectations of the puzzle genre. Look, the important thing is we’ve now justified a puzzle game. That’s right, folks. I got the gold.